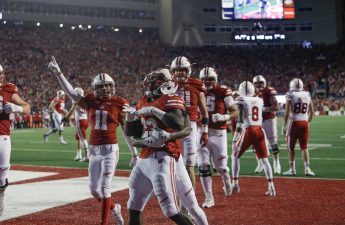 The University of Wisconsin football team won their fourth straight game Saturday afternoon after cruising past unranked University of Illinois en route to a 48-3 victory. The No. 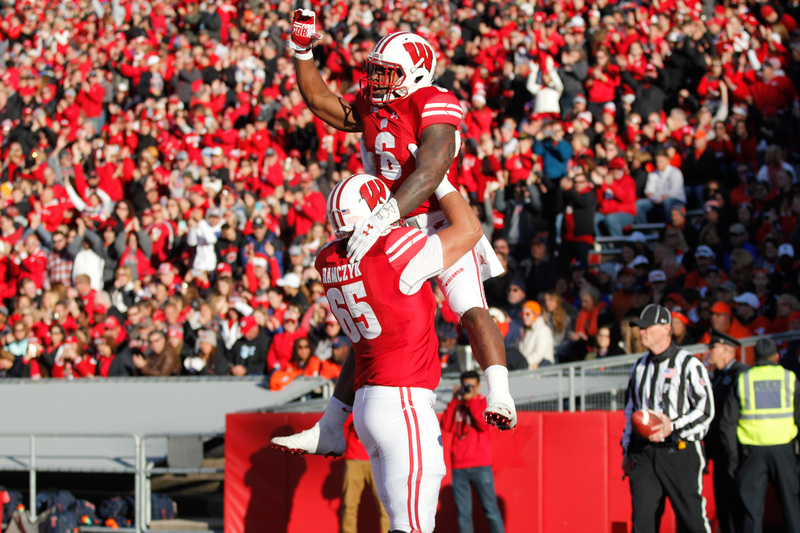 7 Badgers unleashed the scoring attack early in the first quarter on the back of the Wisconsin rushing attack led by seniors Dare Ogunbowale and Corey Clement. The veteran running backs could not be stopped as they ran the Badger offense into the end zone on four straight drives giving Wisconsin a 28-3 lead in the opening minutes of the second quarter. Clement and Ogunbowale would finish the game with 128 and 104 yards rushing respectively as key contributors in the Badgers’ 363-yard day on the ground. The one-two punch of Clement and Ogunbowale turned into a one-two, two-three punch with the emergence of sophomore back Bradrick Shaw, who gained 85 yards of his own Saturday. The Badgers headed into the locker room at halftime with a 31-3 lead behind the dominating rushing attack and suffocating Badger defense that has allowed just 11 touchdowns in their last 10 games. The third-ranked defense in points allowed prior to Saturday’s matchup was nothing short of dominant, holding Illinois to a single field goal and stopping the visitors on all nine of their third-down attempts. The Badger secondary shined in the defensive performance, hauling in three of the four Wisconsin interceptions including an incredible tip, kick, and catch between senior cornerback Sojourn Shelton and safety Leo Musso. How Shelton managed to kick the ball into the arms of his fellow senior still remains unclear, but the veteran cornerback had a simple response. “Watching Ronaldo highlights man and playing a lot of FIFA” Shelton jokingly said. Aside from a dominating defensive performance, the Badger offense came to play netting 455 total yards and scoring on all eight of their trips in the red zone. “Our goal this week was to put together a complete game as a defense, special teams, and offense and I feel like we accomplished that pretty well,” junior outside linebacker T.J. Watt said following the victory. Tied for the top spot in the Big Ten West, this Wisconsin team is two games away from taking the division and securing a spot in the Big Ten Championship game. As the regular season comes to a close, post-season implications rise and outside pressure mounts. 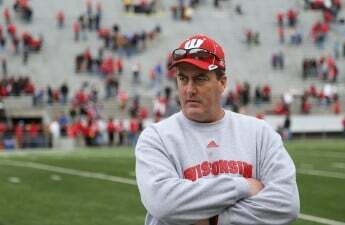 A determined Wisconsin team heads to West Lafayette, Indiana, next weekend to take on the Purdue University Boilermakers before the Badgers return home for their final regular season matchup against border rival University of Minnesota.